"I believe all painting is worthwhile so long as one honestly expresses one's own ideas." Vanessa Bell defied the Victorian strictures of her upbringing to forge a life filled with creativity, collaboration, and sexual liberation. 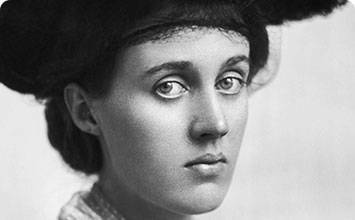 A vital founder of the Bloomsbury Group, Bell, along with her novelist sister Virginia Woolf, the critic Roger Fry, and the artist Duncan Grant among others, embraced the avant-garde styles of continental Europe to advance modern art and to break down the barriers between fine and applied arts. Bucking traditional English mores, Bell created a distinctly modern oeuvre that ranged over still lifes, landscapes, interiors, and abstract paintings as well as decorative arts such as textiles, pottery, and furniture. While Bell embraced Fauvist and Cubist styles, making her paintings some of the most radical Britain had yet seen, her insistence on drawing inspiration from her domestic life led later historians and critics to downplay her importance in the development of modern art, an assessment that is now rapidly changing. Bell synthesized the techniques and explorations of the Post-Impressionist painters, such as Cézanne, Matisse, and Gauguin, to create modern compositions with bold forms and colors. She simplified human figures to their constituent shapes, flattened pictorial space, and used saturated colors to create patterns of objects and shapes, creating paintings that were some of the most radical in Britain at the time. The close group of family and friends that Bell cultivated and the untraditional domestic sphere she fostered provided inspiration and subject matter throughout her painting career. In this space abstract textiles, hand fashioned pottery, abstract paintings, and portraits of her loved ones mingled to create a new, strikingly modern way of living. While innovative in the development of abstract painting, Bell wandered among various types of subject matter and blurred the boundaries between fine and decorative arts. While perhaps not a strict modernist, her attitude spoke to an anti-authoritarian stance that defied the constraints and limitations of what was expected of a modern painter. The complicated family dynamic into which Vanessa Stephen was born would foreshadow the complex relationships she would have throughout her life. 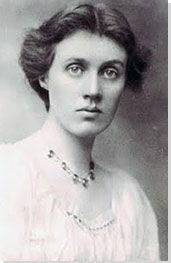 The eldest child born to author Sir Leslie Stephen and Julia Duckworth, her three siblings included one sister who would become the famed author Virginia Woolf. She also had a half-sister (her mother's from her first marriage) and two half-brothers (her father's sons), who Bell accused many years later of molesting her. While Bell pays homage to Monet in her choice of subject matter - a large haystack dominates the landscape - she emulates Cézanne in her compositional structure and paint handling. Instead of Monet's light-dappled haystack, Bell uses muted browns and greens in flat swaths to construct the sculptural pile of hay and the rest of the landscape. The visible strokes of the grey sky as well as the patch of grass in the near foreground have much in common with Cézanne's method of painting. Having spent time in Paris as well as seeing Roger Fry's groundbreaking Post-Impressionist show in 1910, Bell synthesized the Post-Impressionist style to create a unique, modern approach to landscape painting that didn't exist in England. The setting, Asheham, was where her sister Virginia Woolf and her brother-in-law Leonard Woolf found a country house shortly after they married in 1912. Bell painted the house in the background, reinforcing her personal connection to the landscape. While Bell renders a real place, her focus is on the structural design of the painting, how patches of color fit together to create a strong image, and echoes Fry's formal assessments that design was an essential aspect of modern painting. In Studland Beach two women sit on the sand with their backs to the viewer, looking out towards the water. At the water's edge a woman in a blue dress stands in front of a white tent, while four figures, perhaps children, sit near her feet. As she often did when selecting her subjects, Bell drew on experiences from her life. The setting for this work, a beach in Dorset, England, was a favored vacationing spot for Bell and her family around the time she painted this canvas. Bell's mastery of composition is evident in this painting. She employs a modern approach to color and form, similar to Gauguin's and Matisse's. Most notably, the bold placement of the white vertical structure of the tent stands in stark comparison to the diagonal between the deep blue water and the warm tones of the beach, and her simplification of form gives the figures an enduring weight. This is one of many paintings Bell created that featured women as the subject. While the women in the foreground seem to be sharing quiet conversation, Bell imbues the overall scene with loneliness and isolation , perhaps a commentary on her own socially reserved personality. Sometimes her portraits featured women with obscured faces, but here we see no faces at all. Additionally, the tent functions as a changing room for women to don their bathing suits, further separating them from the other beach-goers. Named after the London socialite, Lady Maud Cunard, the textile design Maud features large swatches of blue, green, and orange passages broken up by thin, dark brown lines. The pale linen, left partially exposed, brings a lightness to the composition. The repeating pattern would have been stenciled on large pieces of fabric, and in fact, Bell used Maud for curtains in her Gordon Square home. Designed for the Omega Workshops, which she co-founded with Roger Fry and Duncan Grant, Bell's decorative work relied on the Post-Impressionist aesthetics favored by the Bloomsbury Group. As professor and historian Claudia Tobin notes, "[T]he Omega sought to revolutionize the aesthetics and ultimately the values of the English interior with an approach to design informed by the new chromatic and formal freedoms of post-impressionism." Breaking down the distinctions between applied art and painting was one of the Omega's goals, and in fact, Bell at this time started pursuing purely abstract paintings. Christopher Reed acknowledged the cross-fertilization, stating, "[I]t was the abstract patterning of the Omega textiles that made non-representational painting possible for the Bloomsbury artists. Stylistically, they have much in common: the Omega technique of marking up a design on squared paper carries through to the angular, geometric composition of the easel paintings." Bell's work tracked the work of other European female avant-gardes such as Sophie Taeuber-Arp, Hannah Höch, and Sonia Delaunay-Terk, who were also experimenting with abstraction in both textiles and the fine arts. Various sized rectangles of burgundy, green, orange, pink, and blues hover above a rich mustard-colored field. The longer rectangles congregate toward the left side of the painting while the orange and pink ones float in more isolated fashion. While the relationships between the shapes and their connection with the field call attention to the flatness of the picture plane, they also create an evocative sense of depth. Additionally, the texture of the painting is sumptuous, and has much in common with her textile designs. Between 1914 and 1915, Bell, painting alongside Roger Fry and Duncan Grant, took the plunge into purely abstract painting. While her textile designs were certainly a catalyst, for several years she had been simplifying the human form and flattening the foregrounds and backgrounds of her painting, thus charting a path toward abstraction. While she only briefly experimented in this style, in doing so she demonstrated her ability to push the boundaries of what was traditionally considered acceptable in art and was on the forefront of European abstraction. Art historian Grace Brockington suggests that while this painting is abstract it can also be read metaphorically as an embodiment of the Bloomsbury Group. She writes that the Bloomsbury artists "rejected prescriptive structures of thought and social organization: grand theories, consistent styles, artistic groups with memberships and manifestos. Instead, they cultivated the loose, informal, improvised model of the conversation, which tolerates and indeed depends on difference, and assumes a more or less equal relationship between the participants." After this brief experiment with abstraction, Bell returned to figural works to achieve her artistic goals. While form was always of the utmost importance in her compositions, she conceded that "certain qualities in life, what I call movement, mass, weight, have aesthetic value." A large yellow vase dominates the center of the canvas, and an explosion of green leaves, lemons, and oranges spill out of it. The entire arrangement is set before a boldly colored, abstract wall paper, which adds to the dynamism and exuberance of the subject. Floral still life arrangements were a popular theme for Bell throughout her career, and she consistently painted them in a modern style that tended toward flatness and used vibrant colors. The influence of Post-Impressionism is clearly on view, and yet Bell succeeds in making works that are distinctly her own. Specifically, according to Regina Marler, "[T]he black outlines of vase and fruit are...Cézannesque. In Bell's slashing, incomplete strokes and energetic handling one can clearly see the influence of so-called primitive art such as tribal sculpture..., as well as that of Picasso and Matisse, but the painting has a swagger that shakes off artistic debt." Additionally, the painting is a testament to how Bell's personal relationships heavily influenced her art. The bouquet depicted came from her lover Duncan Grant, who sent the fruits as a gift to Bell. She described the importance of this gift in a letter to Grant written in 1914. While thanking him, she also made clear her attempt to create her own artistic style, stating, "They were so lovely that against all modern theories I stuck some into my yellow Italian pot and at once began to paint them. I mean one isn't supposed nowadays to paint what one thinks beautiful. But the color was so exciting that I couldn't resist it." In this self-portrait, Vanessa Bell dominates the canvas. Pictured seated from the waist up, she wears a white dress with a gray gingham pattern, lined with a plunging pink collar. Her body turns towards the left so that she faces out, looking to some point off the right-side of the canvas. Her brown hair is pulled tightly back from her face and matches the sternness of her expression. Behind her is an abstract wash of green, purple, and yellow stripes with a small patch of blue at the top left of the canvas. While at this time she shifted away from pure abstraction, we can see echoes of abstraction in the background of this painting, which firmly secures her role as a modernist portrait painter. This work is an important early example of the many self-portraits Bell created throughout her career. While portraits were an important part of her oeuvre, and she made many of family and friends, her self-portraits offer a rare glimpse into her personality. While she had an active social life among those in her inner circle, she was often reserved and avoided the social spotlight. Here she presents a strong, serious, and stable image that is manifested not only in her expression but in the exaggerated physical heft of her (in reality) slight frame. Having been forced to attend social gatherings by her step-brother, Bell wanted to now define her life on her own terms and so set about creating a world of her own making. Curator Sarah Milroy writes how her self-portrait "affirms her continued tendency to define herself by her starch rather than her flounces. Here she presents herself in an attitude of snoutish defiance, her shoulders braced at a combative angle. This is how she would have the world see her." Part still life, part landscape, Bell's painting depicts a partial interior of a room that includes a chair on which rests a book and a table with a vase filled with wild flowers. In the center and right side of the canvas is an open doorway through which can be seen a wicker chair placed in front of a lush green garden. This is one of the many paintings Bell created that used her home, Charleston, as the setting. Choosing to spend the majority of her life there, leaving only periodically to travel or for brief stays in London, Charleston offered her great comfort and a place to share with her family and friends. Some of her most inspiring and important paintings revolve around the subject of her home. Unlike other modern artists of the time, Bell did not try to distance herself from domestic life, rather she embraced domesticity in her work, first in her Omega Workshops interior designs and later in the themes of her paintings. Unlike other early modernists who made concerted efforts to avoid such themes, for the Bloomsbury Group, modernism was intricately linked to domesticity. According to Christopher Reed, "Bell's art testifies to her belief in the home as the crucible in which artists effect the transformation of the personal into the abstract - the more generalized emotions associated with form - that was for Bloomsbury the hallmark of modernism."